Here at Junk King we always like to tell our Charlotte mattress removal clients that we recycle. That means you don’t need to feel bad about phoning for our removal services because you think that old mattress will wind up in a landfill. We have a variety of services that are dedicated to our valuable clients in Charlotte. Along with other furniture removal options, we pride ourselves on construction waste removal, appliance removal along variety of other categories. •	The fact that we are well known for having fast and friendly service. What’s more, when you rent from us for some of your other needs, you only pay for the space you use. It’s that kind of efficient, cost-effective philosophy that’s made us an industry leader. •	We also pride ourselves on estimates that are free and transparent. In fact, if you take a minute to look at our written price guarantee, you’ll see that we are committed to beating the competition. If you’re thinking about buying a new mattress, there are some things that you should know about replacing the old one. For example, talking to your doctor before you make any decisions is a great idea, especially if you’re a little older.It’s a good idea to remember that your doctor or therapist isn’t really an expert on mattresses. They can give you some excellent advice based on the fact they know your medical conditions however. One of the other things that separates our company from the competition is the fact that we have an interesting history. 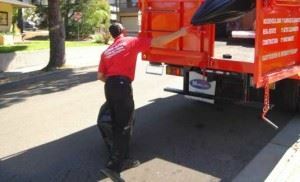 Junk King was formed in 2005 by 2 friends who wanted to put together an echo friendly junk removal business. The rest as they say is history and we’re proud of the fact that we are considered America’s number one junk service today. The mattress services that we offer are thorough and complete. Right from the time you first make contact with us until the time you wave goodbye to that old piece of furniture. Starting the process off is quick and easy. All you need to do is call or text. A simple click of the mouse will get you started on the process that is user-friendly, quick and efficient. Charlotte mattress removal is here for you. This entry was posted in Charlotte Junk Hauling, Charlotte Junk Removal, Charlotte Mattress Removal, Junk King Charlotte, Junk Removal Prices on August 8, 2018 by Junk King. Last updated August 8, 2018 . One of the important goals of any home improvement project should always be to increase the value of your home. A few years ago, the National Association of Realtors did a 2005 cost vs. value report. Here’s what they discovered: “The average “upscale kitchen” remodel with a cost of $81,552 and had a payback of 84.8 percent. The average midrange “major kitchen” remodel with a cost of $43,862 and had a payback of 91 percent. The average “minor kitchen” remodel with a cost $14,913 and had a payback of 98.5 percent.” Add it up and it’s clear that the investment you make in a kitchen or bathroom remodel is going to be a big asset to your home. It makes sense then that you need to spend your money wisely. Keep that in mind when your budget goes over and the job takes longer than you think it will! You can come up with some basic ideas of a remodel by a visit to a Home Depot or search through the Internet for inspiration. Once you’ve got a sense of what you want to accomplish you’ll need to find a contractor especially if your remodel is going to involve any type of plumbing or electrical upgrades. You should get bids from several contractors. Part of your contractor “shopping” should be proof of current licenses and insurance policies that cover property damage and workers comp. A list of a contractor’s suppliers should be followed up to find out if they pay their bills on time. You don’t want to have a work crew sitting around waiting for construction material. You should also follow up with past customers. Even though they should be sending you happy customers, you can still ask a few pointed questions about their work which should give you a complete portrait of how they work. When you get a bid from a contractor it should be an itemized list of what you can expect to pay. One of the items on that list should be “demolition and removal of preexisting cabinetry.” This is where a contractor might try to pad the budget a bit. However, you could probably handle this job on your own with a decent hammer, screwdriver and Junk King Charlotte. 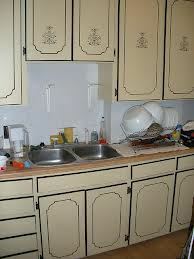 Once you take down the cabinets a Junk King crew can be standing by to haul them away and make sure they are properly disposed of. As for pricing, Junk King will only charge you by the amount of space that your debris will take up in their truck. That means no labor costs or dumping fees. You’re not going to get a great deal like that with a contractor! Let Junk King Charlotte help you start your remodeling project off right. This entry was posted in Cabinet Disposal, Charlotte Furniture Disposal, Charlotte Junk Removal and tagged Charlotte Cabinet Removal, Charlotte Junk Removal on March 28, 2013 by Terendius David. Last updated August 2, 2017 . 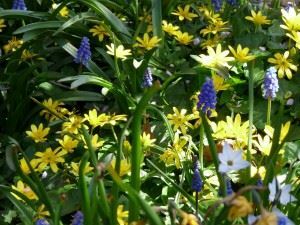 With the frost melting away, spring is just around the corner and that means everyone should be in the spring cleaning mood! A growing trend in cleaning is cleaning the green way. This is where you use basic household supplies to keep your home sparkling. Items like white vinegar, baking soda and olive oil can be utilized in a wide range of cleaning products. For instance, when you mix a 1/4 cup of vinegar with 1 quart of water and pour that concoction into a spray bottle, you’ve created a dandy glass cleaner. Use old newspaper or lint-free cloth to make sure your windows will glisten. For kitchen and bathroom tile countertops you can use a mixture of 2 parts vinegar, 1 part baking soda and 4 parts water. Sponge that along the counters to wipe up the grime. That same vinegar can be used to mop up your floors with 4 cups of vinegar to one gallon of hot water. If you like you can add in some lemon oil for a sweet citrusy scent. If you want to get rid of any mold spots in your bathroom, try wiping them away with straight up vinegar. Another green approach to spring cleaning is to hang up a laundry line. This is definitely the old school way of drying your clothes but it will help you cut back on your energy bill and leave your clothes smelling as fresh as the spring air. As you make your way through your home with your green cleaning products you’ll probably notice a lot of items which would be better served outside of your home. These are those objects of clutter that have caused many a stubbed toe or groan of “I’ve got to get rid of that!” You can de-clutter you home with a little help from Junk King of Charlotte. These are the junk removal specialists who provide you with the muscle and the truck space to remove any oversize item in your garage, spare room, basement or backyard. Junk King Charlotte will keep the green theme going by diverting as much of your junk away from local landfills as they can. Typically this will mean dropping off junk at one of the recycling facilities located throughout the area. Whenever possible, the Junk King crew will make drop offs of old furniture to charities which specialize in refurbishing and reuse. This makes sure your junk will go green and you don’t have to exert any extra effort. Get a strong start with your spring cleaning and let Junk King be your green ally. 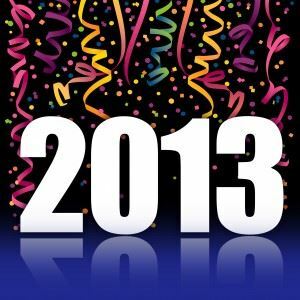 This entry was posted in Charlotte Junk Hauling, Charlotte Junk Removal, Charlotte Recycling, Spring Cleaning Tips and tagged Charlotte Spring Cleaning, Spring Cleaning Tips in Charlotte on March 19, 2013 by Terendius David. Last updated August 2, 2017 . Like most other businesses, the carpet industry is extremely competitive and carpet salespersons are eager (desperate?) to get your business. This is why you need to take charge when you go out shopping for carpet. Just like with buying a car, the greatest power you have as a customer is the ability to walk away. It amazing how much of a better deal you’ll get when the carpet salesperson knows that. Your best approach for buying new carpet would be to visit at least five different retail showrooms. This will give you a strong sense of what is “out there.” Before going, you’ll want to measure the space you’ll be carpeting because that’s the first question you’ll be asked: “What’s the square footage of the room?” When you’ve narrowed down the two or three choices of carpet ask to take a small sample home and live with it for a day. If the carpet store won’t part with a sample they are not someone you should be doing business with. After you’ve zeroed in on the sample you like, make sure to write down all the info that will be on the back of the sample. You want the exact color, style, manufacturer, density and price to match when you go back to the store. Be wary of trying to be sold something you don’t want. You’ll also want to hold onto that sample for delivery day. It should be a match to whatever arrives in the truck. Check it out before they take the roll off their truck. This is especially important when comparing density of your yarn. Don’t fall for the old switcheroo! 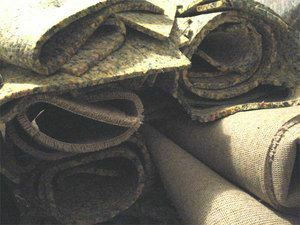 Sometimes a carpet salesperson will come out to your home with samples and to take measurements. It might be hard to get rid of them! That’s why it’s better to do your own measuring and go to the store. If you do have a salesperson come out, let them do the measuring but compare the numbers they come up with against your own. If that match you know you’re dealing with an honest company. As with any type of major purchase you’ll want to get everything in writing on your order form. This would be all that information you took down from the back of the sample plus the padding and installation costs. One way you’ll save money is to have your old carpet removed in advance. It’s really not that difficult to pull up a carpet. To get rid of it all you need to do is call Junk King Charlotte. They’ll send over a crew of expert movers and truck big enough to hold all your old carpet. While they’re at it, that same Junk King crew can cart off any other bulky item you want to get rid of. The best approach for bringing in new carpet is to make sure you’ve got a clutter free home. Junk King Charlotte can get you there! This entry was posted in Charlotte Junk Hauling, Charlotte Junk Removal, Junk King Charlotte, Junk Removal Prices, Old Carpet Disposal and tagged Charlotte Carpet Disposal and Recycling, charlotte hauling, Charlotte Junk Removal on February 27, 2013 by Terendius David. Last updated August 2, 2017 . If you’ve noticed something missing around the area it might be the garbage. That’s because all around North Carolina and here in Charlotte residents and businesses are creating less garbage than they have in over 20 years. According to recent surveys each person has generated 0.98 tons of trash last year. That is down from the peak of 1.36 tons that hit in 2006. What’s the cause of this major reduction? Those in the know at the Division of Solid Waste point to more people recycling as the leading cause. Across the state there are 40 landfills that have been given the seal of approval to accept trash. Of that trash, around 60% is household garbage while 24% is industrial waste and the rest is construction demolition. What about your junk? Do you know where it ends up? You would if you hired Junk King Charlotte to get rid of it all. Junk King is the professional junk removal service based here in Charlotte that makes a point of recycling or repurposing the majority of what they collect from homes and businesses. Ever since the city of Charlotte got into the recycling biz, it has fallen on residents to make sure they are sorting their recyclables but that doesn’t have to stop with magazines and soda cans. When you hire Junk King to cart off bulky items you’ll find that those can be recycled as well. Things like sofas, loveseats, shelves, bedroom sets and all kinds of appliances can all be broken apart and grinded into recyclable material. If it looks like something you’re tossing out could be fixed up then Junk King will drop that item off at one of those charities which handle that sort of thing. All you have to do is tell the Junk King crew what you want tossed out and they’ll handle the rest. Hiring Junk King works best when you’ve got those bulky items which won’t fit into the garbage can. That’s because with every Junk King assignment comes a large truck that can accommodate whatever you want tossed out. There’s no longer any good reason to hold onto things you have no use of. Wouldn’t you like to reclaim that space in your home or yard for more practical purposes? In some cases, people have clear out a basement and put in a home theater. They’ve made room in their garage for a arts and craft workshop. They’ve even converted an attic into another bedroom which increased the value of the home. What can you do with your storage space? You won’t be able to find out until you toss out the junk and that can happen with a single call to Junk King Charlotte. This entry was posted in Charlotte Bulk Trash Pickup, Charlotte Furniture Disposal, Charlotte Junk Hauling, Charlotte Junk Removal, Junk King Charlotte and tagged Charlotte Bulk Trash Pickup, Charlotte Large Trash Pickup on February 16, 2013 by Terendius David. Last updated August 2, 2017 . It’s never too late to fire up a New Year’s resolution. Even as we head into the winter we can still make many improvements in our lives by setting a goal and sticking to it. Most of the typical New Year’s resolutions involve self-improvement projects like joining a gym, taking up yoga or spending more time pampering yourself. One area that could benefit from a decent New Year’s resolution is your home. What improvements can you make around your home that will improve the quality of life? One proactive resolution is to take stock of your appliances. Are you also using your appliances the right way? There might be some timesaving features you haven’t even put into action on a dishwasher or washing machine. Take a moment to review your owner’s manual. You might be surprised what you discover. After Christmas you might have been the lucky recipient of a new vacuum, microwave oven or even complete kitchen remodel. That doesn’t mean you have to hang onto your old stuff. Get it out of the way. The same could be said for any of those appliances which you simply don’t use any more or might have been broken down. After taking stock of your appliances, go through your home and take stock of everything else. Be on the lookout for things you don’t use any more such as furniture being kept in the garage, basement or attic. There could also be rolled up rugs, bedding and boxes of papers long since out of need. All of that junk is taking up valuable space in your home. Would you like to reclaim your basement from junk? Would you like to get your car back into your garage? You can if you clean out all that clutter. To do that you should make a resolution to call Junk King Charlotte. Junk King is part of a national franchise of professional junk removers who have some very high standards when it comes to customer service and the proper disposal of junk. Most of what Junk King Charlotte collects isn’t even taken to a landfill. It’s either recycled or donated to a charity. But you don’t have to fret over any of that because it’s all part of the Junk King service. All you need to focus on is deciding what you want to get rid of. You don’t even have to move anything out of your home. The Junk King crew will pick up the item wherever it is living. Hiring Junk King is one resolution for your home that will be easy to keep. This entry was posted in Charlotte Junk Hauling, Charlotte Junk Removal and tagged charlotte hauling, Charlotte Junk Removal on January 30, 2013 by Terendius David. Last updated August 2, 2017 . Despite what you might think about the junk you want to forever get rid of, not everything deserves to land in a dump. There are some of your items that might actually have a little bit more life left in them. They might need some TLC when it comes to replacing a seat cushion or repairing a table leg but that doesn’t mean those items would be totally worthless. That’s why Junk King Charlotte makes it a point to drop off many furniture items to those Charlotte charities which make repurposing their mission. Think of this as recycling your junk without grinding it down to pulp. While there are some terrific charities that accept furniture donations for resale, there are many more who like to fix up broken or worn out furniture. By doing this they are providing some work for many deserving folks who are looking to get a fresh start on life. Having a job fixing up furniture for a charity could be the perfect training for a bigger and better job down the road. Then there are the recipients of that repaired furniture which will be greatly appreciative of your donation. Sure, you might not be able to see their smiles as they get to add comfortable furnishings to their home or apartment but you can be assured that with Junk King your junk will find the right home. Now, there is some junk you’ll be tossing out that just won’t be good for anything other than the trash heap. That’s understandable but that doesn’t mean it still can’t be properly disposed of. Once again Junk King will be riding to the rescue and making sure your junk will be dropped off at a certifiable landfill. These would be the government-sanctioned areas that have been constructed to make sure all the trash deposited there will be contained and not leak into the surrounding environment. Dumps have come a long way and Junk King knows the right ones to drop off your refuse. If all of this sounds like a lot of sorting it is but it’s not anything you have to worry about. The Junk King Charlotte crews are experts at determining what items can be recycled, repurposed or just dumped. All you have to concern yourself with is what you want tossed out and Junk King will handle the rest. You also won’t have to worry about picking up a heavy object, breaking something down or renting a truck. Junk King will have you covered on all those levels. What do you want to get rid of? Let Junk King Charlotte know today! This entry was posted in Charlotte Furniture Disposal, Charlotte Junk Removal, furniture donations pickup and tagged Charlotte Furniture donations, charlotte furniture pickup, Get Rid of Furniture on January 18, 2013 by Terendius David. Last updated August 2, 2017 . Christmas is over. Which means only one thing: time to take back all those gifts that didn’t live up to your expectations. It’s not really a bad thing. In fact, many retailers expect presents to be returned and offer “gift receipts” for the savvy shopper. But there are some other tips to make the gift return process go a bit more smoothly. Having that receipt is crucial but some retail outlets like Best Buy could look up a purchase on their computer. Although that might pertain only if you made the purchase and not someone else. After all, you don’t want to credit back the gift giver’s account. It’s also important to keep all the labels and tags intact. You might not have any control over this on the receiving end but if you’re giving a gift you have “doubts” about then make sure they’ll be able to return the item without a hassle. Most stores have their official return policy written right on the receipt. And be on the lookout for a restocking fee. Some stores might take that onto the return value of an item. You might be able to haggle that away. It’s worth a shot. There are some other items you’ll be returning after the holidays as well but these won’t be going back to stores instead they’ll be headed to the closest Charlotte recycling center or certified landfill. This would be all the trash that has accumulated since Christmas morning. And we can’t forget getting rid of your Christmas tree before it becomes a genuine fire hazard! There is one business who can handle those kinds of returns in a single trip. That would be Junk King Charlotte, the junk removal specialist. By making an appointment with Junk King you’ll be getting a hardy two-man crew to do all the heavy lifting. They’ll also show up with an empty truck perfect for the Christmas tree, wrappings and boxes. While they’re clearing up your holiday debris, Junk King can also cart off any other bulky item you might have identified as being ready for the trash heap. Maybe some of those outdoor holiday decorations have seen better days. Do you really want to drag them out again next year if they are faded or broken? Make room for new decorations in your storage area by tossing out the old. Junk King can show you the way. Keep in mind that Junk King can also properly dispose of your outdated e-waste that might have been replaced by “Santa.” Old televisions, computers, laptops, printers and monitors should all be dismantled properly. Junk King will know right where to take them. Bring a clean end to the holidays with help from Junk King Charlotte. This entry was posted in Charlotte Junk Hauling, Charlotte Junk Removal, Charlotte Recycling, Christmas Tree Disposal, E-Waste Recycling, Junk King Charlotte and tagged Charlotte Christmas Tree Removal on December 27, 2012 by Terendius David. Last updated August 2, 2017 . 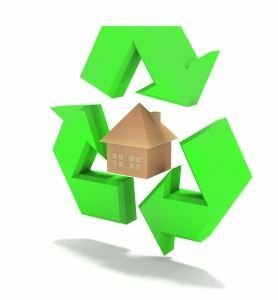 Most everyone is familiar with the word “recycle” but not everyone might understand what that process is all about. The best way to increase recycling levels is to inform the public about how that process works from start to finish. That’s the goal of ReCommunity, a Charlotte based company that is dedicated to informing the public through an interactive website that is all about recycling. “We wanted to take a proactive approach to engaging and educating” to the 36 communities the company serves in 13 states, says Jeff Fielkow, vice president of revenue and growth at Charlotte-based ReCommunity. “We really believe virtual tours and interactive educational resources are the wave of the future. So we wanted to stay true to our community and education-focused mission, and build a turn-key recycling educational website,” he said. Included on the website is a visual tour of a MRF, teacher lesson plans, animated videos, educator resources, and an interactive site where people can see an overview of an entire MRF and click on each element to learn more about that step of the process. ReCommunity’s primary focus is on the kind of weekly recycling trash pickup. But there is another kind of recycling that you can engage in with the help of another company. That would be junk recycling with Junk King Charlotte. Junk King is a Charlotte company of professional junk haulers that would like nothing better than to recycle all of your junk. Even if you don’t ask for your junk to be recycled, Junk King will probably recycle it anyway. That’s because they are dedicated to keeping Charlotte an environmentally safe place to live and work. If that means making a few extra drop offs at the recycling centers around town then so be it; it’s all part of the comprehensive service offered by Junk King Charlotte. When you hire Junk King you’ll actually be getting a team of workers and a large truck. Those are the exact two items which might have been standing in the way of your removing all that junk in the first place. 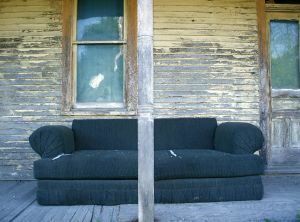 It’s not easy to get rid of a sofa or loveseat or stove or set of tires. But with Junk King Charlotte you won’t have to lift a finger. When you’re ready to recycle your oversized junk items give Junk King a call. They’ll get the job done in a snap. This entry was posted in Charlotte Junk Removal, Charlotte Recycling, E-Waste Recycling, Junk King Charlotte and tagged Charlotte Junk Removal, Charlotte Recycling, Recommunity on December 20, 2012 by Terendius David. Last updated August 2, 2017 . What’s a sure sign that the holidays are upon us? For many families, the official kick-off for the season is a visit to the Singing Christmas Tree. This is the 58th year that the tree has been entertaining folks from all over the area. This year, the Grey Seal Puppets and Carolina Voices’ Main Stage Choir will be the featured performers. A terrific treat for the whole family. 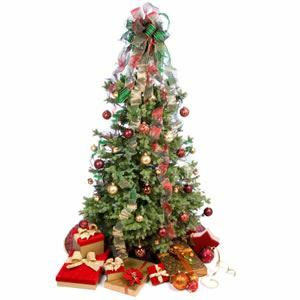 Once you’ve seen the Singing Christmas tree it will be time to make room for your own Christmas tree. Everybody has their own traditions when it comes to decorating. There are some who prefer a single color scheme while others go in for the rainbow of twinkle lights. Either way you’re going to have to make room for that tree. Will you be moving furniture around? Do you even have room to move furniture around? If you have found yourself crowded out in your own home by all your stuff, it might be time for a clearing. And the best partner for this project would be Junk King Charlotte. Junk King is Charlotte’s junk removal specialists. Although they’re be doing most of the work, you’ve got to get the process started by going through your home and figuring out what you finally want to get rid of. This doesn’t mean you’ve got to move any of those items. In fact, you can leave them right where they are; the Junk King crew will pick them up from there. All you have to do is point and say, “Take it out!” This would be the perfect opportunity to get rid of all that old furniture that has become an eyesore. Maybe you’ve been looking for a new sofa/loveseat combination. Well, if your old one suddenly “disappears” clearly you’ll have to buy that new one! You can also go through your closets, garage, attic, basement or spare room to find even more clutter. Keep in mind that Junk King will be pulling up to your house in a big empty truck. That truck is all yours to fill up with whatever you want to get rid of. And don’t stop with the inside of your house. The Junk King crew will also make a tour of your yards to pick up anything like broken up pieces of a patio, lawn furniture, grills, hot tubs or even an above ground swimming pool. All of that junk can become a fleeting memory with Junk King Charlotte on the job. As soon as you’re completely clutter free you can bust out the holiday decorations and go to town! When you’re creating that cozy atmosphere it’s always best to do it in a clean home! Call Junk King today to get started! This entry was posted in Charlotte Junk Hauling, Charlotte Junk Removal, Charlotte Refrigerator Disposal, Charlotte Storm Debris, Charlotte Yard Waste Removal, Christmas Tree Disposal and tagged charlotte hauling, Charlotte Junk Hauling, Charlotte Junk Removal, get rid of junk charlotte, Junk King Charlotte on November 30, 2012 by Terendius David. Last updated August 2, 2017 .